I have about a quart that I picked tonight and maybe I ate that many while picking. These will go into the freezer for winter eating. My friend had car troubles so didn’t come to do her quilting today. So I quilted the little foxes and will bind tomorrow (I hope). I’m thinking these will be fun for someone who has lost their home to the fires. I have a few other child quilts that I will also give. The quilt that was too short yesterday is long enough today, but has not found back to being loaded on the machine. You fixed its eye! I love this quilt. Someone else surely will also! 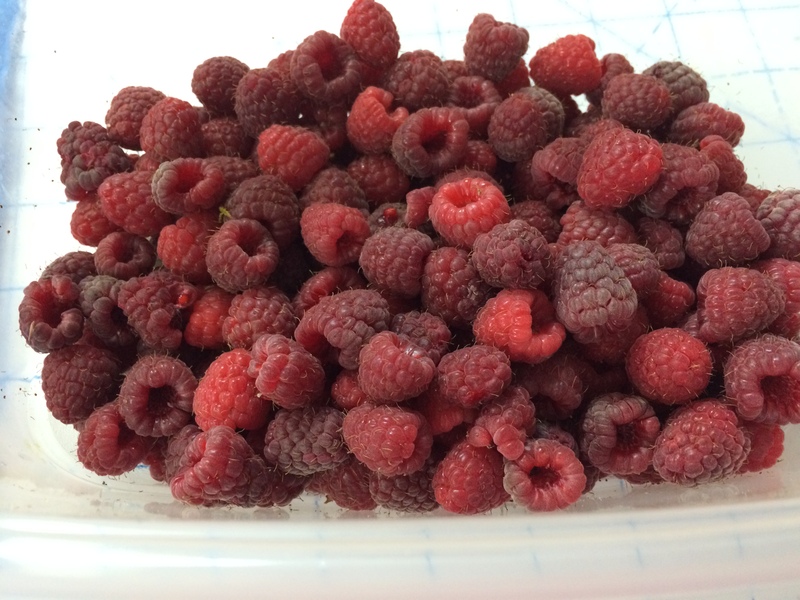 Your raspberries look great.